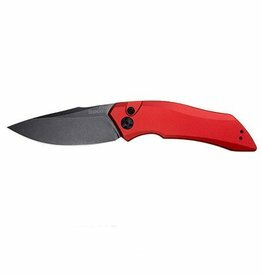 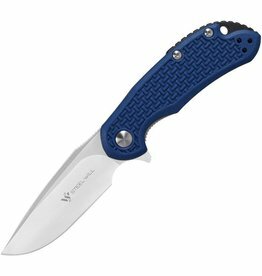 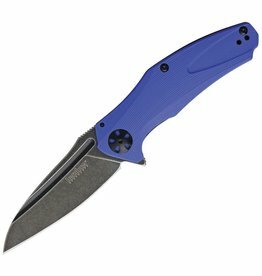 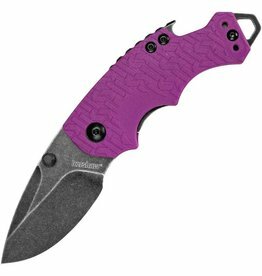 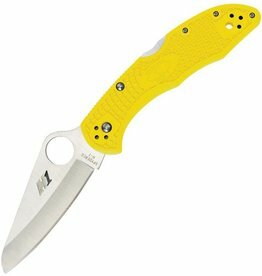 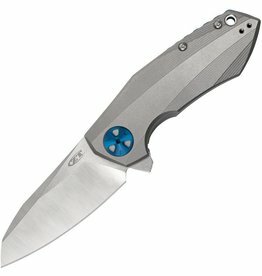 This Cutjack Mini model has a textured blue FRN handle and a satin finished blade. 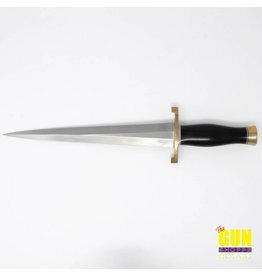 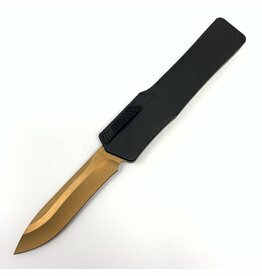 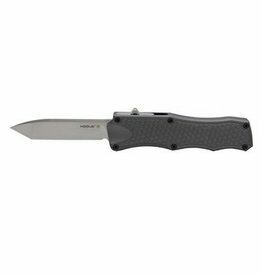 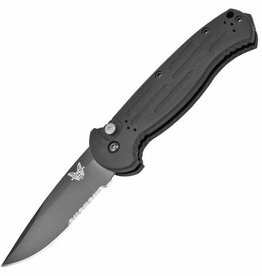 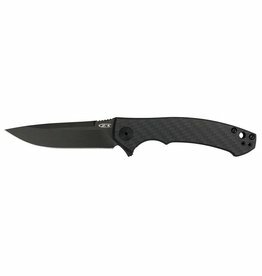 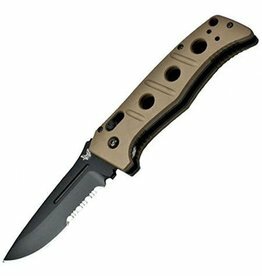 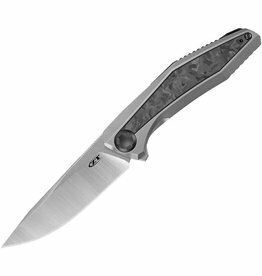 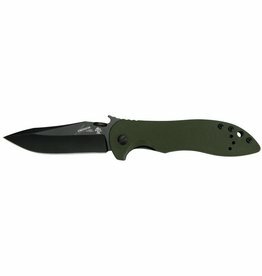 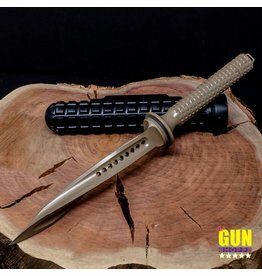 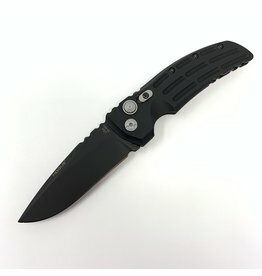 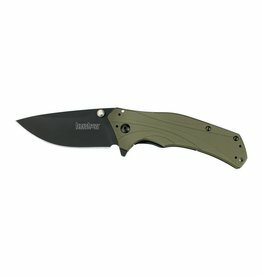 The AFO II 9052BK has a black BK1 finished Tanto blade with a plain cutting edge. 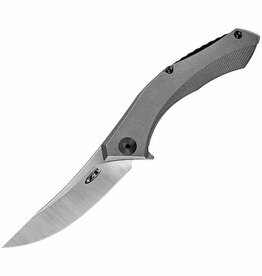 The handle is black anodized aluminum with a fully reversible pocket clip. 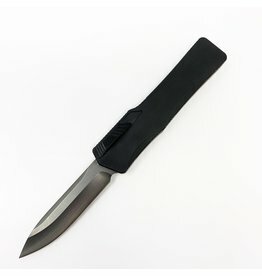 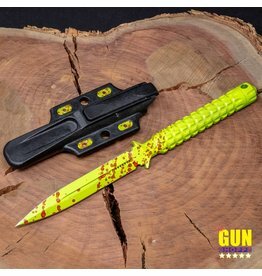 Includes a ballistic nylon sheath with Malice clip.